In the last years in Portugal there has been recurring manifestations of the rockabilly movement, most of them centered on Coimbra. Bands, such as The Legendary Tiger Man, Wraygunn, and later, Nicotine Caffe Orchestra have come to the forefront of the underground Portuguese scene and extrapolating (at least the first two bands mentioned) to the mainstream. Choosing to publish a rockabilly band with a creative commons license is part of the xs premises of breaking all barriers in avoiding the choice to publish specific types of music, such as, electronic projects. Having said this, we present you Lotus Mecanica, a band that we believe has what it takes to be a rockabilly band. 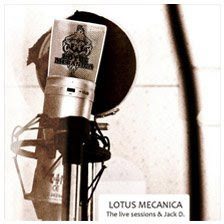 This is a live recording act, in which we can listen to Lotus Mecanica style, a kind of rockabilly blues dirty punk. Also to note, is the fact that we are discussing the idea of distributing a limited edition in digipack or cdr of this ep, so if you’re interested, just let us know.